Sometimes the simplest ideas make the most useful apps. Distress Signal is aimed at people in need of the emergency services but without the ability to speak to them on the phone. Maybe you’re in a country where you don’t speak the local language, or maybe you’re in a situation that makes speaking impossible. 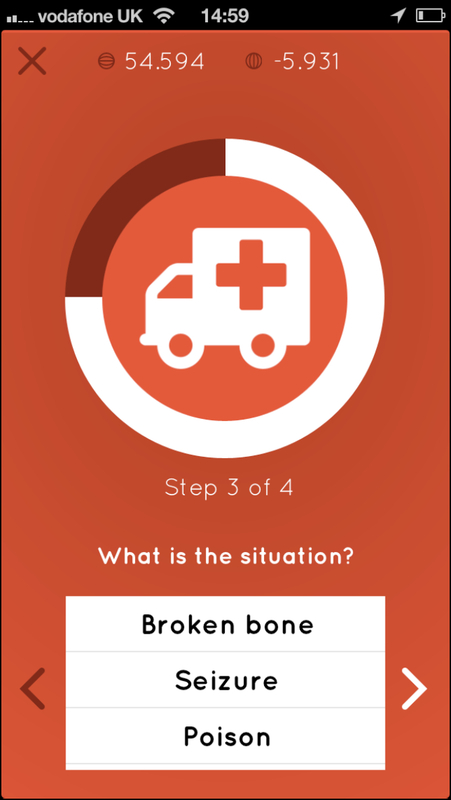 The app takes you through a simple, well-designed workflow and outputs an SMS that is sent to the relevant emergency service in the right language, with all the details about your location co-ordinates, your problem and any other important details (such as blood type) that may be pertinent. You’ll need to be in a country that supports SMS emergency reports (currently 15 countries), but it’s a useful tool to have on your iPhone or Android device.